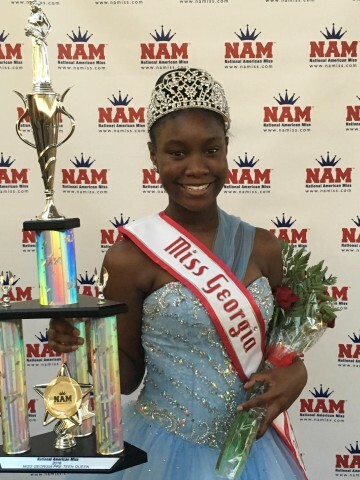 Pre-Teen National American Miss Competition on July 2, 2016.
from her community of Union City, Georgia. goals,” said Regina Howard, Damácia’s mother. grade literature and high school biology and physical science. types of distractions that could be found in brick-and-mortar schools. information about GCA, visit http://gca.k12.com/.